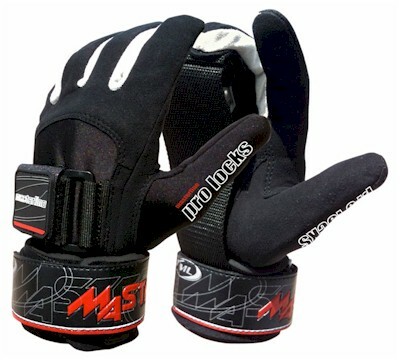 The Masterline Pro Locks Gloves, the exclusive Masterline fit. Palm strap with dowel for superior grip strength. The glove is designed to transfer the pulling force from the hands, fingers and forearms into the bone structure to provide superior strength and endurance. This helps improve grip strength, alleviate fatigue and eliminate blisters. Sizes: XS-XXL. - Palm strap with dowel for superior grip. - Tough aramid palm material. - Pre-curved padded amara 2" power wriststrap. - Double stitched Third tab locking system. NOTE: Colors/designs may vary slightly.